UPDATE: This procedure is no longer necessary when using PowerSDR 2.0.22 and above as the Firewire driver installer is integrated into the PowerSDR installer. 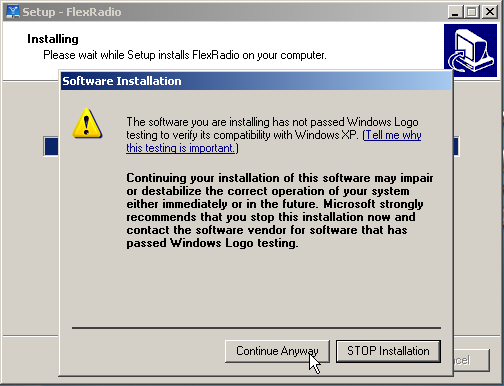 The FLEX family of Firewire-based software defined radios communicates with your personal computer running Windows XP, Vista or Windows7 via a Firewire (IEEE-1394) connection. Like any piece of hardware that communicates with Windows, a hardware or device driver is required. The Firewire enabled FLEX family of software defined radios is no exception. Before starting this procedure, you will need to download the current version of the FLEX Firewire driver to the computer that is connected to the SDR hardware. 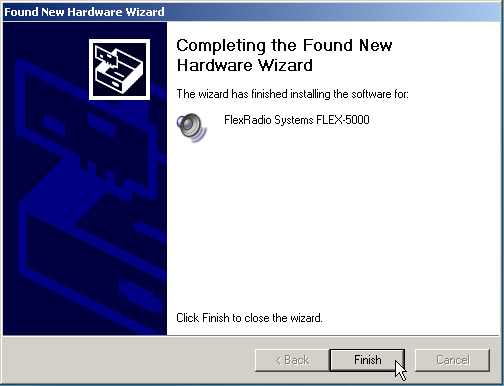 You can obtain the latest FLEX-5000/3000 Firewire driver from a link on the FlexRadio Systems home page. NOTE: The FLEX Firewire driver, version 3.4.0.x and above the driver installed package contains both a 32-bit and a digitally signed 64-bit kernel mode device driver, therefore the FLEX Firewire driver will work with *all* versions of 64-bit Windows without requiring any special operating modes, such as disabling the Windows x64 driver signing requirement. REQUIREMENT: All hardware or device drivers, including the FLEX Firewire driver, must be installed with user rights of administrator under Windows. Not all user accounts have these elevated rights, especially the defaualt accountes in Vista and Windows7. If you install the FLEX Firewire driver on these operating systems and you are not absolutely certain that your login account has the required elevated rights to properly install the driver, then you need to use a feature of these operating systems to install or run a program with full administrator rights. To do this, right click on the FLEX Firewire installed program and select the option "Run as Administrator". If your user login does not have sufficient rights, you will be prompted to provide user credentials (password) for the administrator account to continue installing the FLEX Firewire driver. For Windows operating systems with UAC (User Account Control) enabled, make sure you answer affirmatively (Yes) for any and all prompts during driver installation. If you are upgrading to a new version of the FLEX Firewire driver, you must follow the procedure outlined below in order to make sure that the old driver is completely removed from your system before the new updated driver will install properly. Step 1 . 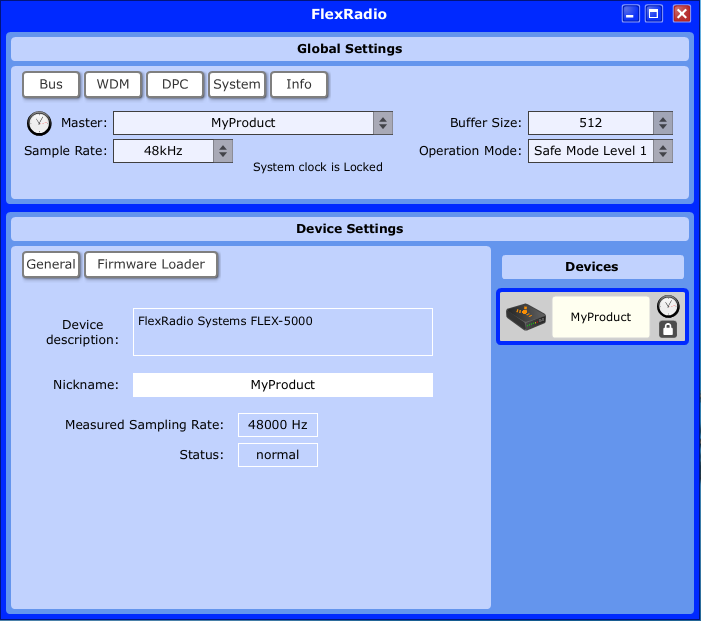 Turn off the FLEX software defined radio hardware by powering it down completely. Step 2. 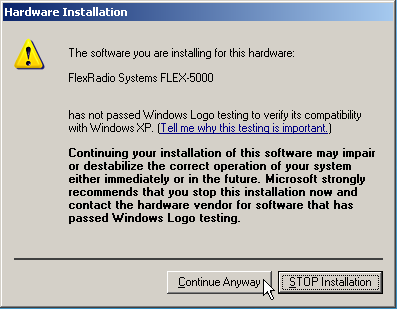 Uninstall the existing FLEX Firewire driver. 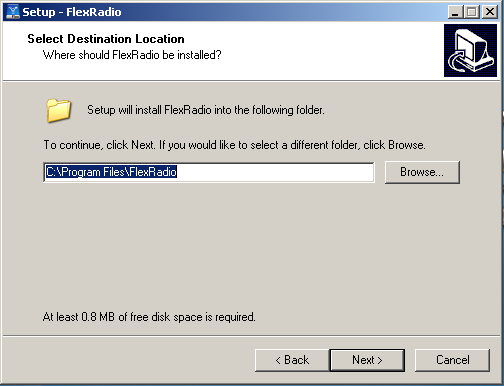 The driver can be uninstalled using the uninstall menu option in the FlexRadio Systems application folder or by using the Add or Remove Programs option in the Windows Control Panel. 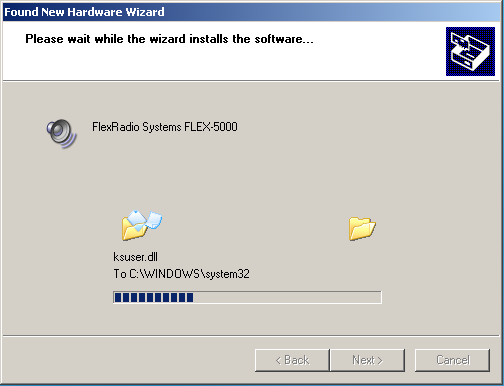 Make sure the FLEX software defined radio is turned off along with PowerSDR before uninstalling the Firewire driver. Step 3. Reboot your computer. This assures that the drivers are completely removed from memory. Step 4. Follow the procedure, Installing the FLEX Firewire Driver below for installing the new Firewire device driver. Step 1. 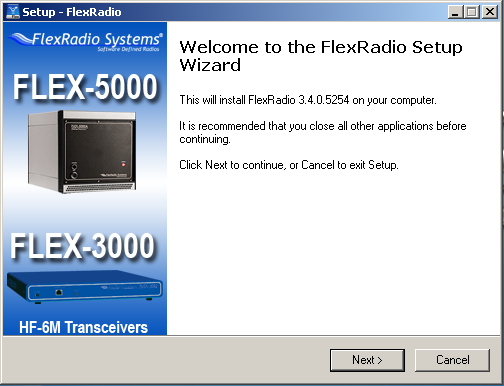 After downloading both PowerSDR and the FLEX FireWire driver to your computer from the FlexRadio Web site (you can get the driver from the FlexRadio Systems home page), install or load the FLEX FireWire device driver software to your computer first. Once the FLEX FireWire device driver is fully installed, then you will enable it by powering up the FLEX software defined radio. Open up the folder where you downloaded the FLEX FireWire driver. Either double left click or right click on the FLEX Firewire driver installation icon and select Run as Administrator to start the driver installation. Step 2. After the FLEX Firewire driver Setup Wizard is displayed, left click on NEXT to begin the driver installation. 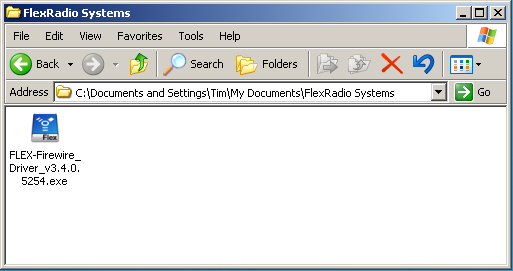 Double click on the FlexRadio icon to display the FLEX Firewire Control Panel. If the driver was properly installed, you will see the name of your FlexRadio Systems FLEX software defined radio in the Device Description text box. 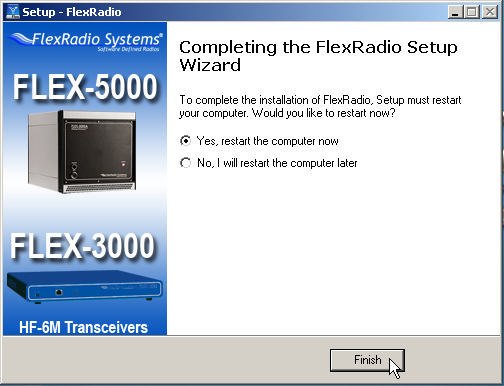 If the driver is not installed properly or the FLEX software defined radio is either not connected or turned off, you will receive a Device Not Found error message when you start the FLEX software defined radio. Article has been viewed 34,996 times. Execution: 0.859. 8 queries. Compression Disabled.